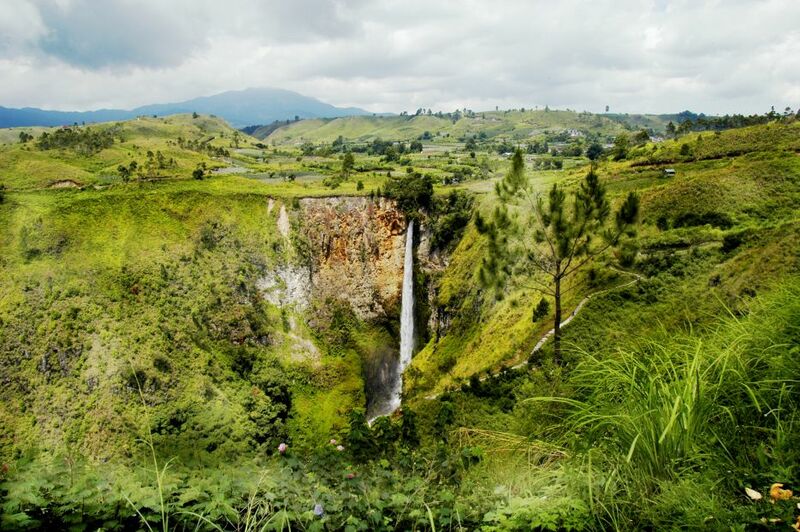 Set in the beautiful highlands of North Sumatra, the stunning Sipiso-piso waterfall is located on the North side of Lake Toba, 24 kms from Kabanjahe. This long but narrow waterfall drops 120 meters into an impressive gorge below. Lake Toba is one of the awesome natural wonders of the world. This is a crater lake so enormous it has an island almost the size of Singapore in its centre.